The First Venue for The Triangle Part 11 is confirmed and is "TBA Brooklyn" on April 17th 2014. 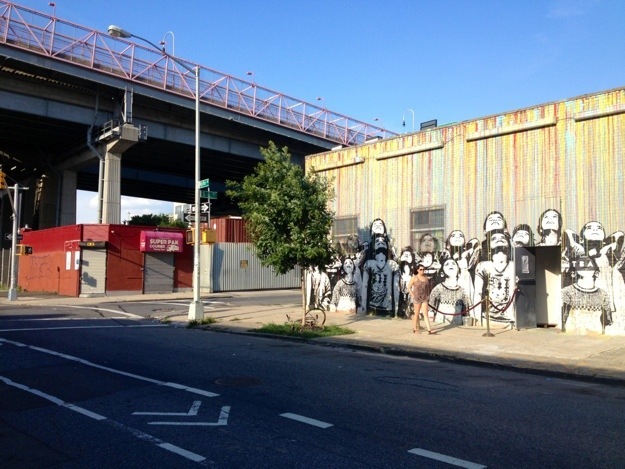 It is in Williamsburg right under the Williamsburg Bridge, as seen in above image. "TBA Brooklyn—named for the city’s underground electronica scene, where party locations are “TBA” till the day of—has audiophiles, artists, and foreign nationals flocking to a seven-week-old former auto shop in the shadow of the Williamsburg Bridge. Run by a gaggle of nightlife veterans from Blkmarket Membership, Porch, and Deep, the democratic space (there’s no door policy) has a pumping sound system and room for up to 150 bodies. Still, it’s the rarefied techno, electronica, and house programming— a lineup that includes heavies like Stimming, Pig&Dan, and Butane." of the Istanbul Triangle Network.